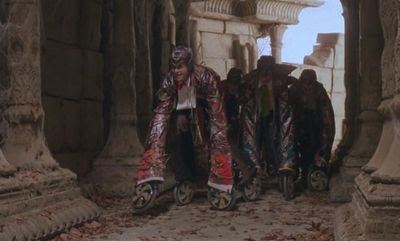 The Well-Appointed Catwalk: Chariot Skates - Scary Stuff! Chariot Skates - Scary Stuff! Ahh! 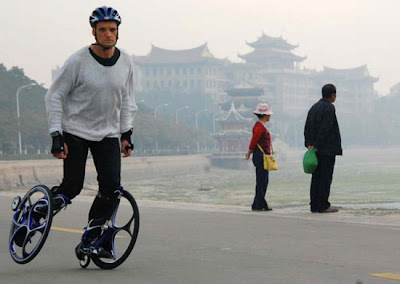 The Chariot Skates make this man look like a wheeler! You know what I'm talking about - those frightening creatures from "Return to Oz" that haunted your childhood dreams. Or is that just me? Ok, they're actually a skate-ski-bicycle combination designed by Australian Michael Jenkins as a new form of transportation, but it's impossible not to draw a comparison. This totally had me laughing out loud. :) What a creepy way to get around!